Extraordinary, exquisite, alluring. 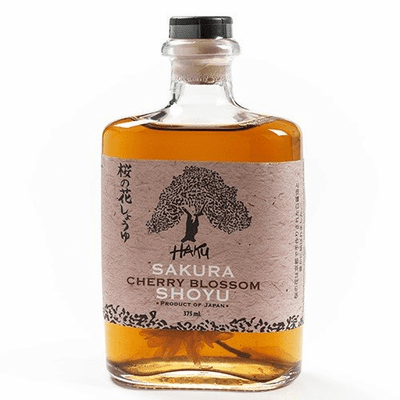 Sakura Cherry Blossom Shoyu is meticulously handcrafted by Shoyu master craftsmen to celebrate the revered cherry blossom which holds special significance throughout Japan. The cherry blossom represents the beauty and fragility of life. These breathtaking blossoms fall naturally into nets and are quickly gathered, then dipped in a red shiso vinegar brine and salted to preserve. They are then added to already aging barrels of white shoyu and will age for 1 year to infuse the glorious perfume and color of the blossoms with the shoyu. The consummation of this beautiful technique reveals a truly special shoyu surely to leave a lasting memory. Produced by Haku, a product of Japan.